Try The Nu-Comfort Belt Today! Are you tired of the tiny one inch appliance belt that is supposed to provide support for your ostomy appliance? Rather than provide any beneficial ostomy appliance support you get the belt twisted up and digging into your side. It's like wearing a rope! We didn't think you liked that! Now there's an alternative and it's from Nu-Hope Labs. Their new belt is called the Nu-Comfort Belt. 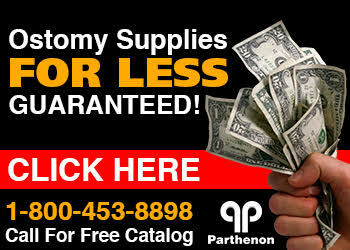 It is designed to accommodate 2-piece ostomy systems and some 1-piece systems. It is 2 inches in width with a ring plate to provide 360 degrees of support on the skin barrier and some peritstomal support. This belt is small enough to be discreet and large enough to attach to and support your appliance. Also, the ring plate adds to the belt by providing support around the skin barrier to keep it fixed in place. We think it's a great new product from NuHope and think many ostomates will be very pleased to find out about this great alternative to their standard ostomy belt!